It’s no secret that fat is making a comeback. Now a new study shows that a low-carb, high-protein, high-fat diet helped subjects lose weight, build muscle and maybe even reduce their risk of cardiac disease. It’s just one study, of course, but you can add it to the increasingly large pile of evidence suggesting that a meal of unprocessed meat and vegetables might be an intelligent thing to eat for dinner. Here, nine recipes to try tonight. Asian fish sauce, lemon juice and rice vinegar make a simple, refreshing dressing for succulent chunks of sirloin. Have breakfast for dinner with this super-easy, protein-rich egg dish. Shio koji, a Japanese sweet-salty condiment gives these juicy pork chops incredible flavor. Arugula, walnuts and Manchego cheese go into a fantastic pesto to pair with poultry. This hearty frittata is great for a quick weeknight meal. Poaching hake in olive oil makes the fish silky and delicious. This fast steak dish can be made with whatever vegetables are on hand. Upgrade the classic Greek salad by adding roast salmon, which is rich in healthy omega-3 fats. 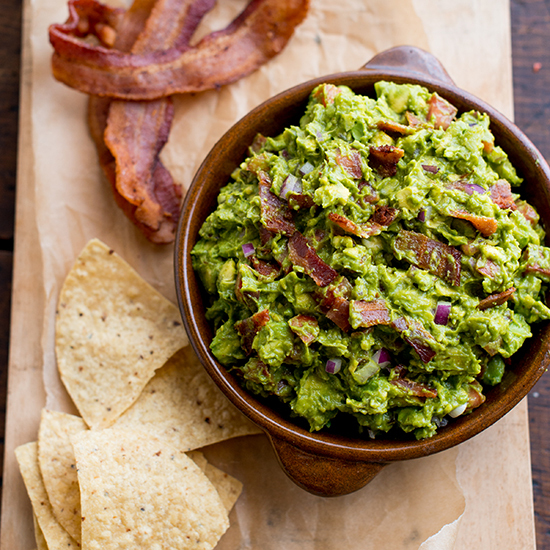 Take the classic dip to another level by adding crispy, smoky bacon.